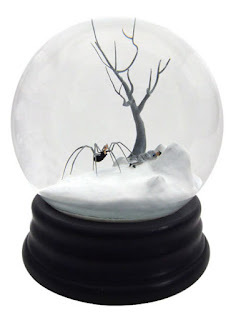 Over on dangerousminds.net, check out the "Snow Globes Filled with Sinister Scenes of People in Peril" here. Also, I haven't been there to trade, but I hear good things about Bartertown.com here. Finally, on Doctor Faust's Painting Clinic YouTube channel, here's one from a few years back on "How to Make Magic Wash - Pledge with Future Shine." Enjoy!